Home » Living Healthy » Need #MondayMotivation? 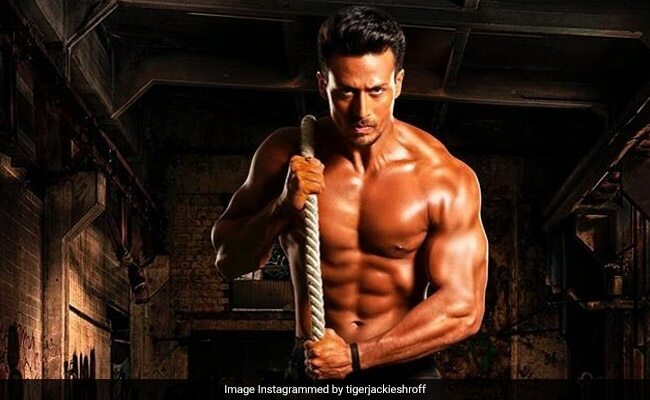 Student Of The Year 2 Actor Tiger Shroff's Strenuous Workouts Will Make You Hit The Gym Right Now! Try the dance workout which Tiger never fails to include in his fitness routine. Tiger Shroff is one of the fittest Bollywood actors of his generation. All the actors have to work really hard for their roles in the movie. This includes a strict fitness regime and diet plan. Tiger Shroff who has played the lead role in many blockbuster movies like Baghi 1 and 2, Heropanti will now be seen in Student of the Year 2. Exceptional dance moves, well-built physique and a muscular body is all because of his hard work and dedication. Let us have a look at some of the exercises which Tiger Shroff includes in his fitness regime. One of incredible exercise for core strength this exercise requires a lot of practice. Chin-ups can help improve grip strength, posture, back, biceps and appearance, while also helping to strengthen muscles that stabilize the spine. This, in turn, can also help reduce one's risk of back pain, neck pain and injury. Another exercise that Tiger includes in his workout routine is weight lifting. The exercise offers several health benefits like burns more calories, enhanced posture, gain muscle strength, reduces back pain, improves bone density and quality of life. So get your dumbbells and start with this amazing workout! Are you looking for some fun workout? Try the dance workout which Tiger never fails to include in his fitness routine. (His Instagram account is a proof of this) This workout helps you lose weight, improves muscle tone and strength, the condition of your heart and lungs and aims at better coordination, agility and flexibility. So the next time, you get bored of your basic cardio, switch on some music and do this workout. It will help you burn maximum calories within no time. Mixed martial arts is a high intensity aerobic workout that includes every muscle group in the body. It improves strength and overall body coordination and physical toughness. In addition, it helps you shed those extra pounds, helps in maintaining a healthy heart and reduces stress and anxiety. The key to quick weight loss is any sort of physical workout. So in case you get bored of the same old workout routine, you can include a sport like boxing in your workout routine. Like any other high intensity workout, boxing also offers numerous benefits like improves cardiovascular health, helps in managing your weight, improves the total-body strength and reduces stress.